published by business districts exactly one month ago. A leading candidate to be elected the next Councilmember for the 100,000 residents of Seattle's District 4, Alex Pedersen, is calling on the City Council to launch public hearings to hold the criminal justice system accountable by resolving why the worst offenders are continually released back into the community without proper help and supervision, per the " System Failure " report published by several business districts exactly one month ago. As recently as yesterday, Q13 News interviewed the CEO of local business Bartell Drugs who said she will not open any more stores in Seattle due to violent assaults in her stores. "To strengthen the people's trust in their city government and to hold the system accountable to resolve these health and safety issues, City Council should launch public hearings as authorized by the City Charter," said Pedersen. "Our City Council should be overseeing their $6 billion budget to solve the basic problems impacting Seattle residents and local businesses and yet the public has seen no action on this health and safety issue after a full month." 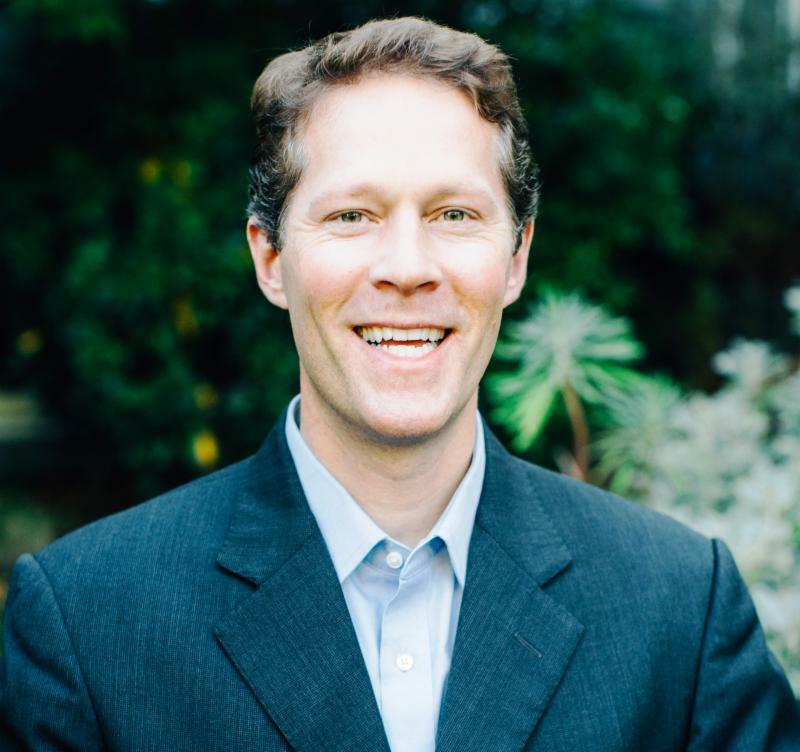 Published on February 25, 2019, the report " System Failure: Report on Prolific Offenders in Seattle's Criminal Justice System " was commissioned by neighborhood business districts across the city (including Ballard, Chinatown/International District, downtown, Pioneer Square, SODO -- and the University District located in District 4 where Pedersen is running for election). The report fou nd, "A substantial portion of the criminal activity that has the greatest impact on Seattle’s busiest neighborhoods is committed by prolific offenders who are well known to Seattle police officers and have a large number of criminal cases in Seattle and King County courts ... Most of these defendants have cycled in and out of the criminal justice system for years…[Our] criminal justice system is not working for prolific offenders and the neighborhoods that they victimize ." Tim Harris, the director of the Real Change newspaper that employs people experiencing homelessness, added his thoughts on March 6: " If there’s one thing that people concerned with homelessness in Seattle can readily agree on, it is this: The system that deals with chronically homeless criminal offenders is not working...Interventions through the criminal justice system have mostly represented a missed opportunity to engage people in the services they require ." That public safety report was published by several media outlets including the Seattle Times on February 25 and has been widely discussed by residents -- but on this "one month anniversary" of the disturbing report, City Council still has not scheduled any action.
" Compassion includes intervening humanely with proven strategies when people really need help -- and the few facing multiple convictions for serious crimes need meaningful help to prevent them from harming themselves or others again ," said Pedersen. " Public hearings are needed to set-aside ideologies, gather meaningful data, shine a light on gaps in the criminal justice system, learn from other cities, and make progress to solve the problem and proactively help people ." The need for publi c hearings follows from the responsibilities outlined in the Seattle City Charter. The preamble states, " Under authority conferred by the Constitution of the State of Washington, the People of the City of Seattle enact this Charter as the Law of the City for the purpose of protecting and enhancing the health, safety, environment, and general welfare of the people ; to enable municipal government to provide services and meet the needs of the people efficiently ; to allow fair and equitable participation of all persons in the affairs of the City; to provide for transparency, accountability , and ethics in governance and civil service; to foster fiscal responsibility; to promote prosperity and to meet the broad needs for a healthy, growing City ." According to the Article IV, Section 4 of our City Charter , the City Council has the " authority to compel attendance of witnesses as well as production of papers and things pertinent to business before it or any of its committees. " One of the logical venues for such public hearings would be City Council's public safety committee (currently called "Gender Equity, Safe Communities, New Americans & Education Committee) which has three members, including the highly experienced chairperson Lorena Gonzalez and outgoing Councilmember of District 4 Rob Johnson . Other city officials could encourage public hearings as well. According to the Committee's website , its scope is " to provide policy direction and oversight and to deliberate and make recommendations on legislative matters relating to...criminal justice and law enforcement, with special emphasis on programs and strategies to reduce crime, domestic violence, sexual assault, human trafficking, and youth violence; police accountability and the implementation of the Settlement Agreement between the Department of Justice and The City of Seattle regarding the Seattle Police Department; coordination with municipal, regional, state, and federal agencies engaged in public safety issues... "
In light of the report, public hearings are warranted now to fulfill the "oversight" and "coordination" duties of the City Council's public safety committee. Pedersen believes whomever the City Council appoints to complete Johnson's City Council term should make this health and safety issue a priority. 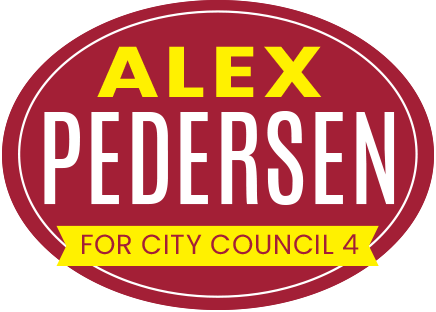 Pedersen announced his campaign on November 28, 2018 for Seattle's District 4. District 4 is home to approximately 100,000 residents in 15 neighborhoods including Bryant, Belvedere Terrace, Cowen Park, Eastlake, Hawthorne Hills, Inverness, Laurelhurst, Magnuson Park, Maple Leaf, Ravenna, Ravenna Springs, Roosevelt, Sand Point, the U District, University Park, View Ridge, Wallingford, Wedgwood and Windermere.